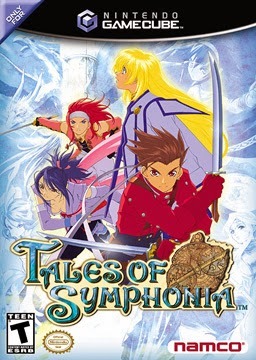 The sound quality on this album isn't great with its use of old-style synth beats (it can't compare to the Ni No Kuni: Wrath of the White Witch soundtrack for example) but given Tales of Symphonia's release on the Nintendo Gamecube in August 29, 2003, what else do we expect? 1. 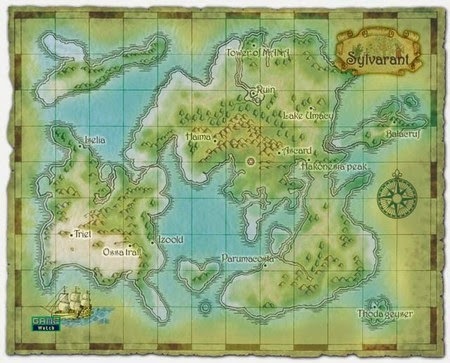 The Land of Sylvarant: Almost too happy, this feel-good and over-joyous melody that plays in the Overworld to Sylvarant will make you feel all bright and cheery, and, perhaps, a little corny. There is also a huge nostalgic component to this theme. 1. 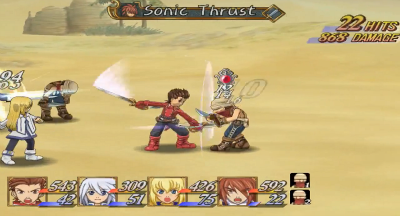 Tales of Symphonia Opening Theme: Anime or not, this is a really fantastic theme. It's passionate and emotional and makes for a great introduction to the game. 3. Venturer's Colony (Hima): I could almost write the same description here as I did with #1. It's another vibrant melody, almost a bit too vibrant for a village theme. Indeed, this is the music of the Village of Adventurers. 4. Renegade Base: A funky, upbeat and cool rhythm - almost suggestive of a greater secret waiting to be told - is fitting music for the Renegade Base. 5. Full Force: Surprisingly, and perhaps, appropriately, the standard normal battle theme is a lot more serious than the world map theme. 6. Walking on Tethe'alla: Triumphant and glorious sounding music - the upbeat melody acts as an invitation to all gamers ready for a new adventure. 7. Like A Glint of Light: A cheerful battle, whose victorious and upbeat music makes it sound like our characters are guaranteed the win. 8. Search a Seal (Sylvarant) or Search a Seal (Tethe'alla): The sense of intrigue and mystery is well encapsulated by both these themes. Given its escalating intensity (mixed with a tinge of hope), the latter version sounds better. 9. The Struggle to Survive: The full weight of the world suddenly rests upon your shoulders when you listen to this dramatic, tense and scary boss battle music. PS. I'd really like to review some more board games soon - I just haven't had the time and drive to do it just yet. This one looks nice, especially considering its age. I'd appreciate if you visit my gaming website and leave your opinion.